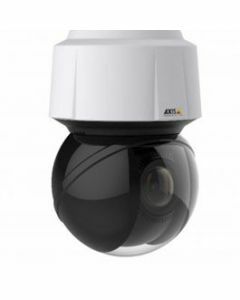 AXIS Q61 PTZ Dome Network Cameras are designed for the most demanding video surveillance applications, with outstanding, full frame rate video in resolutions up to 4K. 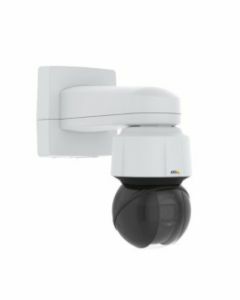 With powerful zoom and high-speed, precision pan/tilt/zoom capabilities, the outdoor-ready PTZ domes enable exceptional coverage of large areas and great detail when zooming in. 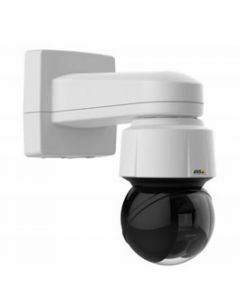 Some of the cameras in the Q61 Series provide Lightfinder technology and Wide Dynamic Range, to handle difficult lighting conditions and support electronic image stabilization—useful for getting smoother video in windy conditions.